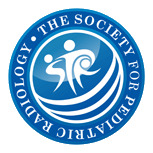 MR urography: the future gold standard in paediatric urogenital imaging? Background. Examination of the paediatric urogenital tract is traditionally performed using methods that utilise ionising radiation, such as intravenous urography (IVU), computerised tomography (CT), voiding cystourethrography (VCU), and scintigraphy, in addition to ultrasound (US). Objective. To determine the potential and effectiveness of MR urography (MRU) in infants and children. Materials and methods. 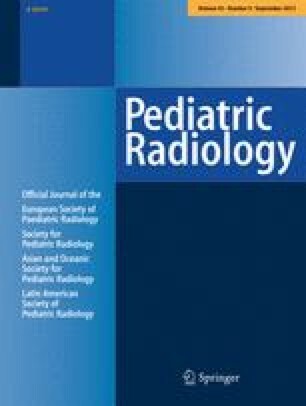 44 MRU examinations were prospectively performed in 39 patients (21 infants, mean age 3.5 months, and 18 children, mean age 6 years 2 months) with known or suspected pathology of the urinary tract. Non-enhanced, fast spin-echo sequences (TSE) were performed in all patients. In 70 % of the patients a contrast-enhanced, fast gradient-echo sequence (TFE) was included. The dynamic sequence was prolonged and supplemented with furosemide provocation in some patients with suspected urinary-tract obstruction. Results. Nine percent of examinations were non-diagnostic or interrupted due to movement. MRU contributed additional information in 66 %. Nine patients with suspected urinary-tract obstruction were examined with both contrast-enhanced MRU and scintigraphy. Three MRU examinations were less informative and one equal to scintigraphy when obstruction was the diagnosis. When using a technique with a prolonged dynamic sequence, including frusemide provocation, four MRU examinations were equal and one was superior to scintigraphy. Conclusions. MRU has the potential to replace traditional diagnostic methods which use ionising radiation in paediatric patients. Further studies are needed before definite conclusions can be drawn.